The thematic route Luther and the Reformation, created to celebrate the movement’s 500th anniversary, is made up of a selection of works from the permanent collection that best illustrate the most important milestones of Luther’s Reformation. It is organised around the following parts: Saint Anne, the first supporter of the Reformation; Albrecht Dürer and the Reformation of painting; Charles V, the guardian of the Catholic Church; Still lifes and the development of different genres; The Home, the domestic Reformation and finally, the Counter Reformation. This tour is also available in German. One of the most popular motifs in Luther's Germany was the image of Saint Anne accompanied by her daughter, the Virgin Mary, and the Child Jesus. In this depiction the abbot who commissioned a triptych for the Monastery of Obermarchtal is also represented as a tiny figure. Saint Anne was a key figure for Luther since 1505, when he promised that he would become a friar if he survived a storm. Two weeks later he entered a monastery in Erfurt, studied Theology, and a few years later began to ask the first questions that would culminate in the writing of his Theses against the purchase of forgiveness through the indulgences whose sale in part financed the construction of St Peter’s Basilica in Rome. So said Dürer before the temporary disappearance of Luther after the Diet of Worms. Albrecht Dürer was the greatest Renaissance painter in northern Europe and one of the first champions of the Reformation. However, the painter from Nuremberg began his own artistic reformation long before Luther began to protest against the policies of the Holy See. 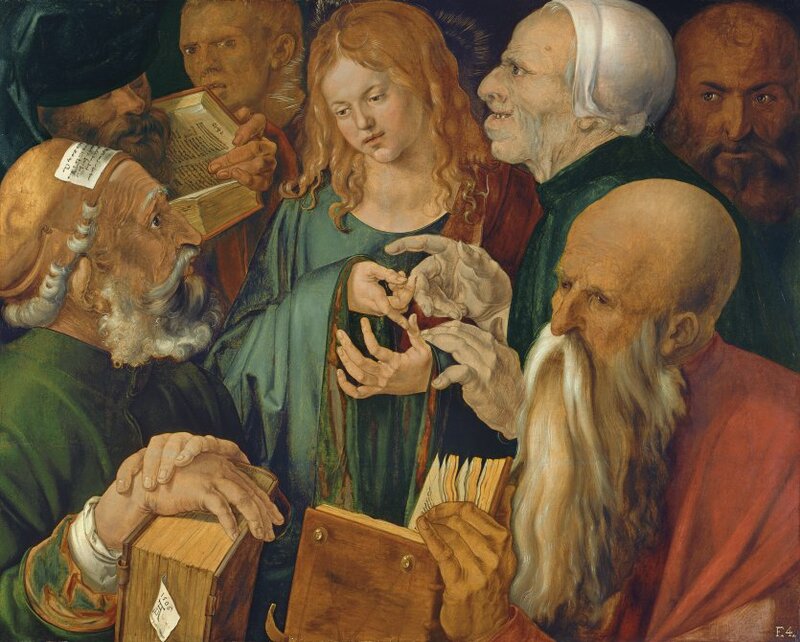 Dürer's obsession was to depart from the pictorial conventions that had prevailed since the Middle Ages. This picture shows his extraordinary talent for developing new forms of representation; nobody had painted the episode in the temple in which the doctors of the law harassed the young Jesus. Interestingly, the painting is signed and dated with Dürer's initials on the slip of paper protruding from the book in the foreground. «I cannot and I will not recant anything, for to go against conscience is neither right nor safe. Here I stand, I cannot do otherwise, God help me. Amen!»Luther to the Emperor at the Diet of Worms (1521). Luther saw Charles I of Spain, Charles V of Germany in person for the first time at the Diet of Worms. Here the emperor urged the champion of the Reformation to recant his Theses against various practices of the Catholic Church. Luther emphasised that he would only obey the Scriptures, but this did not convince the powerful ruler, who, despite his many differences with the Pope, defended Catholicism and in turn the unity of his empire. This portrait was created by the greatest promoter of the Reformation, Lucas Cranach the Elder. 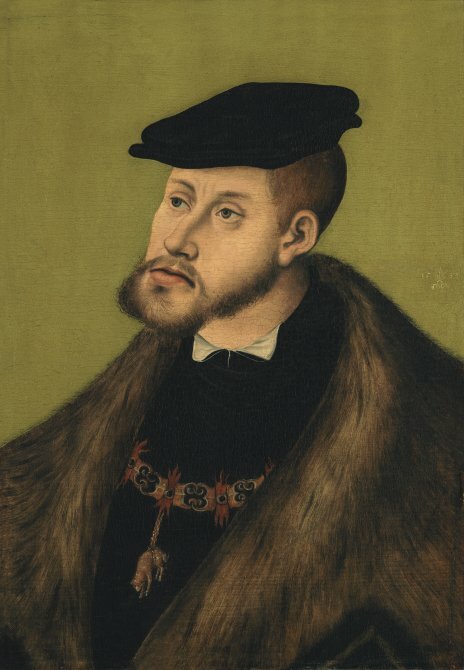 Like other German artists, Cranach wanted his portraits to reflect spirituality and individuality, so he emphasised the emperor’s fallen lower lip and prominent chin. John Calvin, founder of Calvinism, a branch of Protestantism. With the Reformation there was a strong move away from the depiction of religious images in northern European art. This was brought about by the increased interest and development of genres that until then were considered minor, such as landscapes, portraits and, above all, still lifes. The still life was used as a tool to highlight the colonial power of these countries. Most of the objects in the painting are free from religious references, instead highlighting the important trade with the East. 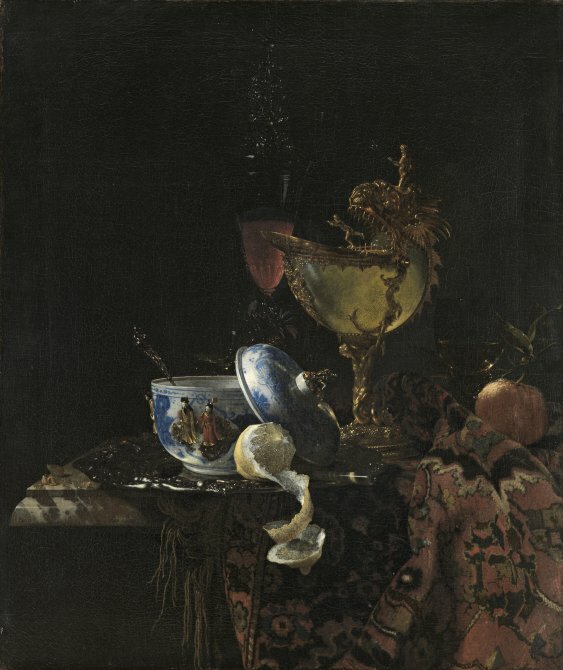 In the painting you can see a Ming bowl, a wine glass similar to the Venetian style, a Persian carpet from Afghanistan and a nautilus cup, alluding to increased naval expansion. Unlike Catholics, who viewed the Virgin as an icon of motherhood, Protestant artists chose the home to represent the ideal role of a woman within the family. 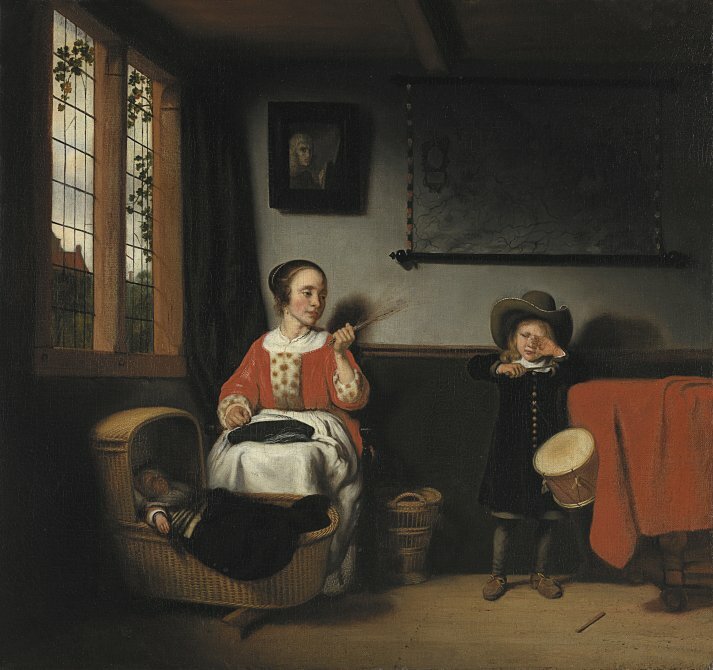 In southern Europe it is often commented that there is a noticeable absence of curtains in these depictions. The most obvious explanation for this is the lower intensity of the sun in northern Europe,but also the Reformation’s emphasis on transparency: if the home is a moral one, there is nothing to hide. Martin Luther was a friar, a doctor of theology and the father of six children by a young woman named Katharina von Bora, who came to him after escaping from a convent in 1523. Like him, many priests and friars sympathised with the Reformation, leaving their religious order and married, convinced that celibacy did not contradict what was stated in the Bible. Charles V’s will and testament to his heir Philipp (1548). Despite the emperor's support, the Catholic Church was not able to avoid a schism. In response to the establishment of a new religion, the Holy See began a Counter-Reformation at the end of the Council of Trent (1545-1563, with interruptions). The Council underlined its differences with Protestantism and corrected the most obvious absurdities of the Catholic Church. At this time artistic images were used to evangelize, and artists who were believers were encouraged to update their repertoire. 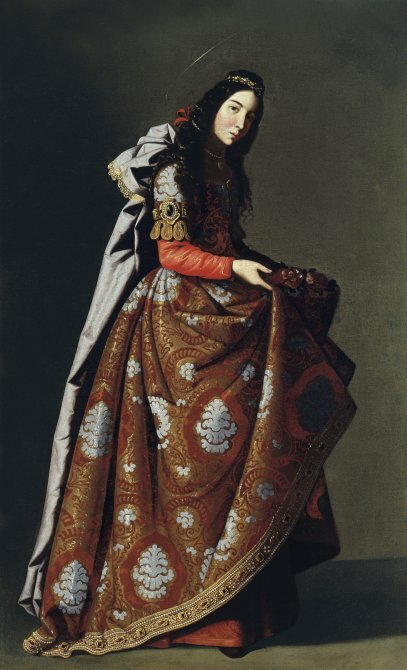 By the time Zurbarán began painting, new works were still needed in Spain and America. His Saint Casilda is a piece of sacred art with a twist; the portrait is of a real woman, depicted with holy attributes, a style known as a «retrato a lo divino» (a portrait to the divine).